With all the hub-bub about the flu this year I thought I'd toss this home remedy out there to help. We probably all have whole bay leafs in our spice cupboards but did you know that Bay Leaves have been used in home remedies for centuries? 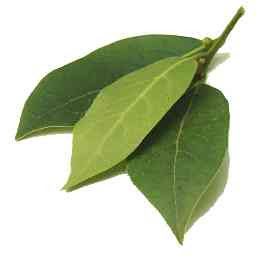 Bay leaves can relieve body aches, help relieve coughs, clear up congestion, and fight the common cold and flu. It can also be used an an anti fungal to fight skin infections. So if you're sitting at home and you or your kids are fighting the aches, coughs, and congestion of the flu, brew up a cup of this and be relieved. Boil the water in a pot with the bay leaves. After it boils pour it all in a mug, leaves and all. Add sweetener and drink slowly. Do you have a recipe you'd like to share? 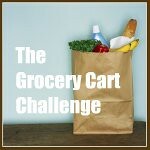 Please link directly to your post not your homepage, and please include a link back to The Grocery Cart Challenge. I am so sorry, Gayle. It has been so long since I have been able to participate in the recipe swap that I forgot to put my name next to the Stewed Tomatoes and Spinach recipe. I will remember next time. Again, I am sorry. Thank you so much! This is just what I need today... will be trying this for sure. 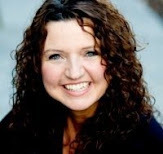 I attempted for the first time ever to link a recipe to your Blog. HOPEFULLY, I did it correctly! Please let me know if I screwed it up. Thanks for the great idea! Right now we can all use the help. I think I better stock up on bay leaves!! Thanks for hosting recipe swap! That is so simple and such a great idea! I will definitely keep it in mind - thanks! That's just what I need for my cough. Thanks for sharing and for hosting! I'm going to try your Bay Leaf tea. I just bought some new bay leaves yesterday so this is great timing! ginger tea helps with stomach upset and congestion. Cinnamon tea helps with coughs especially with young ones. cooked onions ate or their juice drank with help with colds or a poultice of cooked onions ( warm but not hot enough to burn) on the chest will help with chest congestion. My great grandmother was only "medical" around where dad grew up until about 50 yrs ago.